Back like a regrettable Tinder date, that won’t stop calling you. It’s the first Bad Wilf Podcast of 2018, after 8 years of podcasting are we any better? No, but here’s our spoiler-free review of The Diaries Of River Song and, our spoiler-filled review of Justice League. 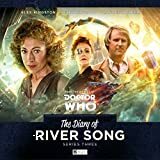 The Diary of River Song is an audio play series from Big Finish Productions. Alex Kingston reprises her character River Song from the television series Doctor Who. Justice League is a 2017 superhero film based on the DC Comics superhero team of the same name, distributed by Warner Bros. Pictures. It is the follow-up to 2016’s Batman v Superman: Dawn of Justice and the fifth installment in the DC Extended Universe (DCEU). The film is directed by Zack Snyder, written by Chris Terrio and Joss Whedon, and features an ensemble cast that includes Ben Affleck, Henry Cavill, Gal Gadot, Ezra Miller, Jason Momoa, and Ray Fisher as the title team, with Amy Adams, Jeremy Irons, Diane Lane, Connie Nielsen, and J. K. Simmons in supporting roles. 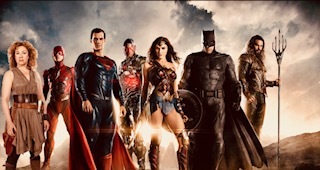 In the film, Batman and Wonder Woman recruit The Flash, Aquaman, and Cyborg after Superman‘s death to save the world from the catastrophic threat of Steppenwolf and his army of Parademons.